Rising demand for precision weapon systems, advancements in automatic weapon systems, and ongoing military modernization programs worldwide are expected to fuel the growth of the fire control system market. This market study covers the fire control system market across various segments. It aims at estimating the market size and the growth potential of this market across different segments, such as system, platform, weapon class, range, and region. This study also includes an in-depth competitive analysis of the key players in the market, along with their company profiles, key observations related to product and business offerings, recent developments, and key market strategies. This report will help market leaders/new entrants in this market with information on the closest approximations of the revenue numbers for the overall fire control system market and its subsegments. This study will provide region wise information about platforms having high demand for fire control systems. 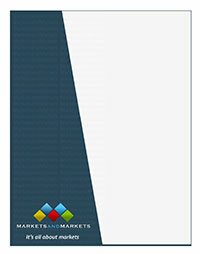 This report will also help stakeholders understand the pulse of the market and provide them with information on key market drivers, restraints, challenges, and opportunities.